Temperatures feel like winter Saturday with wind chills in the 20s and 30s most of the day and a wind advisory in effect as gusts reach up to 50 mph. A few snow showers and flurries continued into Saturday afternoon, with no major accumulations. A weak storm is expected to pass near the area Monday night and Tuesday morning, bringing the possibility of a little snow for Christmas. While there may be rain along the coast, a white Christmas is not out of the question for some in the area. There is the potential for a significant storm Wednesday and Thursday that could become a nor’easter, though it is too early to tell. TODAY: Mostly cloudy and windy with a few snow/rain showers, cold. 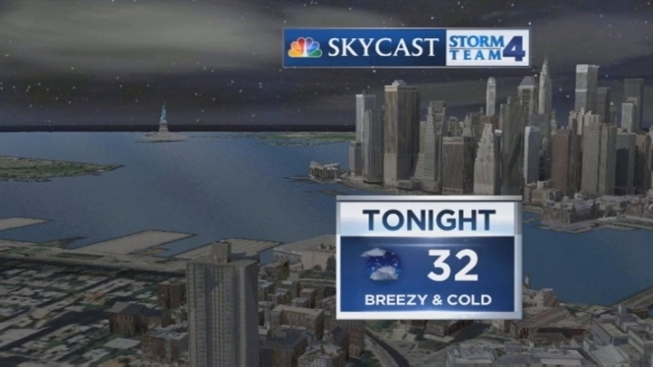 TOMORROW: Mostly sunny, breezy and chilly. MONDAY: Increasing clouds with a chance for rain and snow at night. TUESDAY: Rain or snow showers in the morning, mostly cloudy afternoon. WEDNESDAY: Clouds build, Wintry mix at night?.